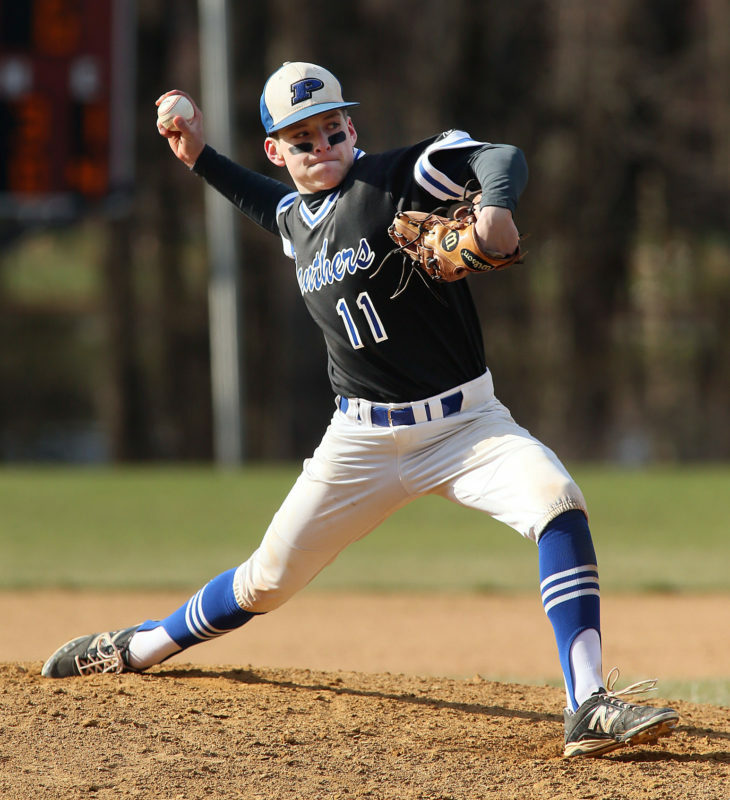 While the Princeton Day School baseball team doesn’t feature a dominant mound ace or a powerful slugger, it does boast a versatile group of seniors who can do just about anything on the diamond. “I don’t think we have a guy this year who can change things with one swing or maybe go out on the mound and shut people down, but we have five seniors and they all have plenty of experience,” said PDS head coach Brian Dudeck, referring to his Class of 2019 which includes Matt Nyce, Brendan Bucceri, Tommy Sarsfield, Kevin Flahive, and Vin Gasparro. Documents released last week by the New Jersey Attorney General’s office have revealed that Rider University’s proposed sale of Westminster Choir College, with which it merged in 1991, would allow the buyer to close the music school at any time after the sale. This calls into question the University’s repeated assurances that the buyer, a Chinese company known as Kaiwen Education, would continue to operate Westminster for five years after the sale and maintain it for 10 years. 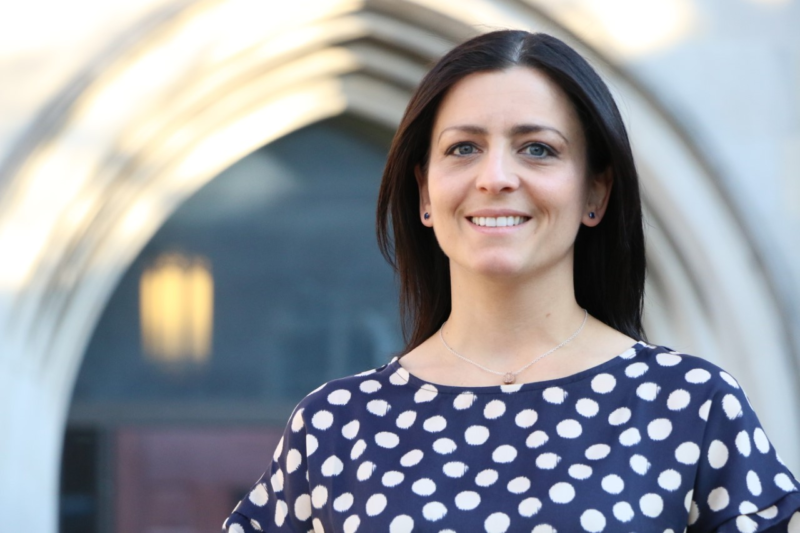 Princeton High School (PHS) Assistant Principal Jessica Baxter knows that her school is strong academically, but she also knows that PHS needs to continue its progress to become a more healthy school for all. Appointed last week as the next principal of PHS, Baxter will be leading the school as it grows and changes to meet the challenges of the coming years. Baxter has been a leader over the past two years in implementing the Challenge Success student survey and following up on the results that showed PHS students experiencing high levels of stress, low levels of joyful engagement with learning, and serious sleep deprivation. Princeton’s Witherspoon-Jackson neighborhood is due to be spruced up and celebrated at a two-day festival planned for the weekend of May 18 and 19. Starting with a neighborhood-wide clean-up on Saturday, the town’s 20th historic district will hold a day of special events, and everyone is invited. 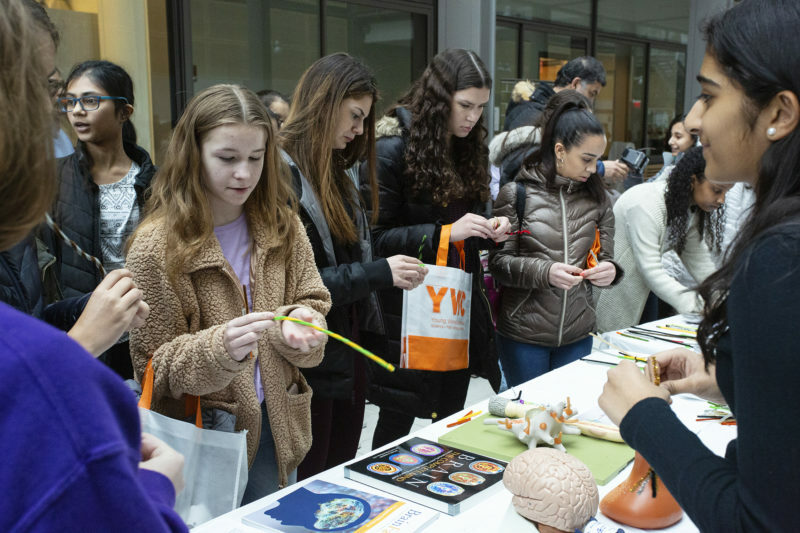 More than 750 seventh to 10th-grade girls from all over New Jersey, Pennsylvania, and Delaware operated robots, put on goggles for a 3-D view of the brain, learned about computer coding, and talked to FBI forensics investigators at the Princeton Plasma Physics Laboratory’s (PPPL’s)Young Women’s Conference in Science, Technology, Engineering, and Mathematics (STEM) last Friday at the Frick Chemistry Laboratory on the Princeton University campus. 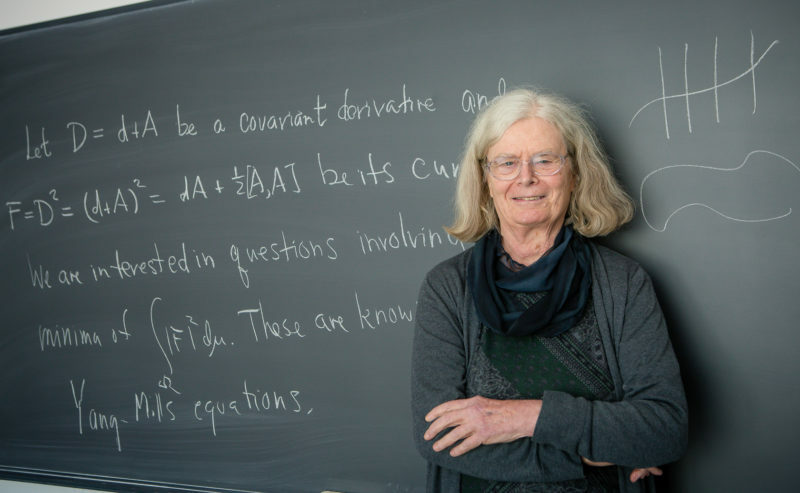 Karen Keskulla Uhlenbeck, current visitor in the Institute for Advanced Study (IAS) School of Mathematics and a visiting senior research scholar at Princeton University, has been awarded the 2019 Abel Prize in mathematics “for her pioneering achievements in geometric partial differential equations, gauge theory, and integrable systems, and for the fundamental impact of her work on analysis, geometry, and mathematical physics,” according to the Abel Committee. Corner House Behavioral Health, in conjunction with Princeton Public Schools, the Princeton Alcohol and Drug Alliance, and the Princeton Police Department, will host “Hidden In Plain Sight — Do You Know What’s Hidden in Your Child’s Room?” on Tuesday, April 9 from 7-9 p.m. in the John Witherspoon Middle School Auditorium. Federal Drug Enforcement Administration Special Agent Timothy McMahon will help parents learn to locate and recognize methods of concealing drug use, guiding the audience through the many places teens hide substances and paraphernalia in their own bedrooms. Also sharing information to help parents will be P.I.C.K. Awareness Prevention Strategies Founder Donna Di Stefano, who has coped with her own daughter’s substance abuse. The C-Change Team is comprised of local women from the Princeton area including, front row from left, Carrie Dyckman, Katy Kinsolving, Kathleen Biggins, and Pam Mount. 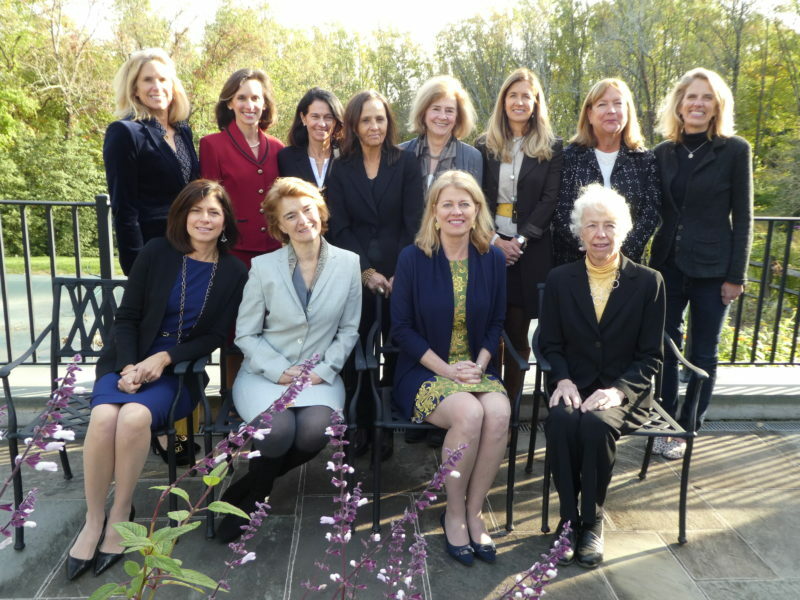 Back row, Kathy Herring, Catherine Sidamon-Eristoff, Mary Bechler, Lorraine Sciarra, Kim Haren, Harriette Brainard, Margaret Sieck, and Sophie Glovier. A nonprofit dedicated to raising awareness about climate change has grown from local beginnings to a presence on the national stage. C-Change Conversations, founded in 2017 by Princeton area residents Kathleen Biggins, Carrie Dyckman, Pam Mount, and Katy Kinsolving, engages members of the public who might be resistant to the idea that the climate is in dangerous transition by keeping the conversation free of political leanings. With 13 volunteers, the organization has presented to some 5,300 people in 25 states across the country. They are booked in private homes, Rotary clubs, church basements, and anywhere else they can pass along their message that the future of the planet holds serious challenges. Virginia Rep’s musical “Jack and the Beanstalk” comes to Mercer County Community College’s Kelsey Theatre Saturday, April 13 at 2 and 4 p.m. 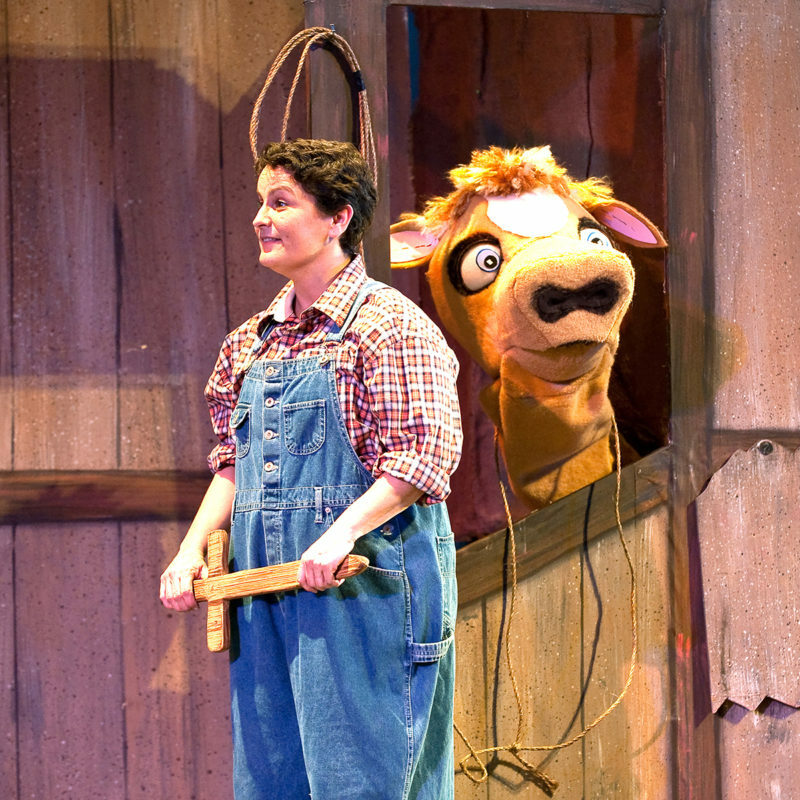 The show centers on the famous exploits of young Jack, who decides to sell Bessie to a stranger for some purportedly magic beans — instead of selling her in town as his mother instructed. Tickets are $10 for children and seniors, and $12 for adults. Visit www.KelseyTheatre.net or call (609) 570-3333. Kelsey Theatre is wheelchair accessible, with free parking available next to the theater. 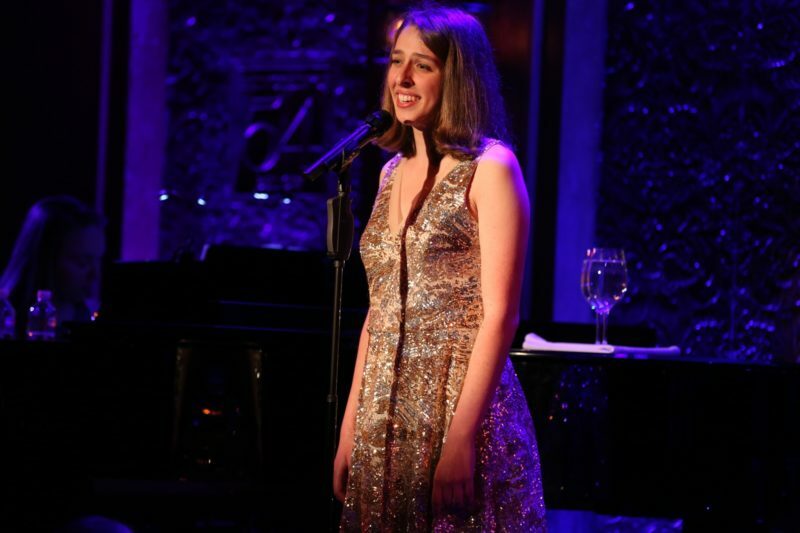 SPRING CABARET: On Saturday, April 6 at 7:30 p.m., Katie Welsh performs “The Broadway Musical Heroine,” the first of her Spring Cabaret Concert Series at the Arts Council of Princeton. Welsh, who is a graduate of Princeton University, takes the audience on a journey through the decades, from the 1940s to the 2010s, on a quest to understand how Broadway’s leading ladies have changed over time. What makes a Rodgers and Hammerstein heroine different from a Sondheim heroine? How do favorite female characters navigate the world of relationships in similar and different ways? Rago Auctions of Lambertville is proud to sponsor “Nakashima Looks: Studio Furniture,” the latest exhibition of modern craft to come to the James A. Michener Art Museum in Doylestown, Pa.
“ARNARSTAPI COAST”: This photograph by Robert Zurfluh is part of an exhibit by members of the Cranbury digital Camera Club, on display April 7 through April 26 at the Gourgaud Gallery in Cranbury. An opening reception is Sunday, April 7, 1 to 3 p.m. 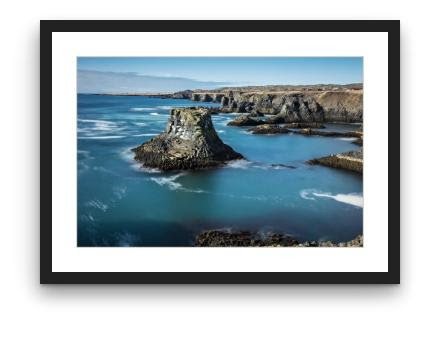 Photos from Cranbury digital Camera Club (CdCC) photographers will be on display April 7-26 at the Gourgaud Gallery, located at Cranbury Town Hall, 23-A North Main Street, Cranbury. 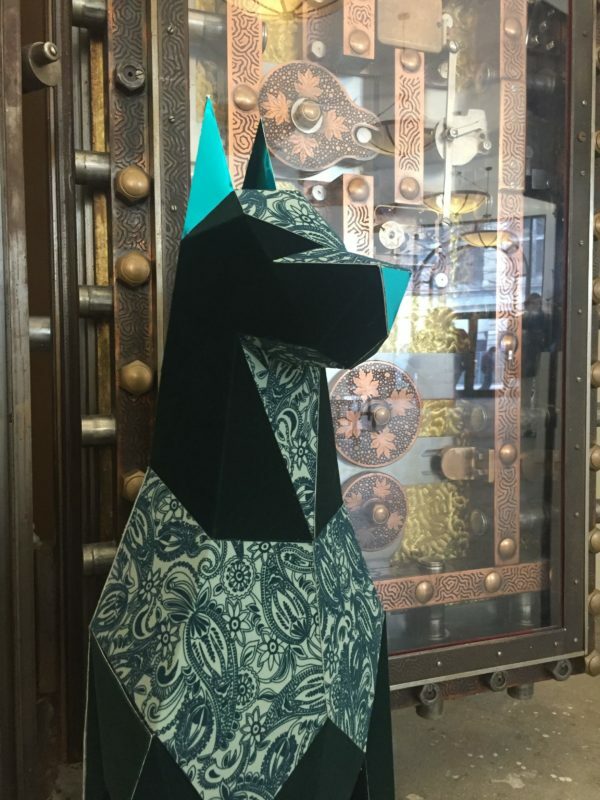 An opening reception with refreshments is Sunday, April 7 from 1 to 3 p.m.
“GREEN PALACE”: Heemin Moon’s installation in the former bank vault at BSB Gallery in Trenton showcases three-dimensional shapes incorporating upcycled materials, including a whimsical view of man’s best friend. It is on display through April 13. 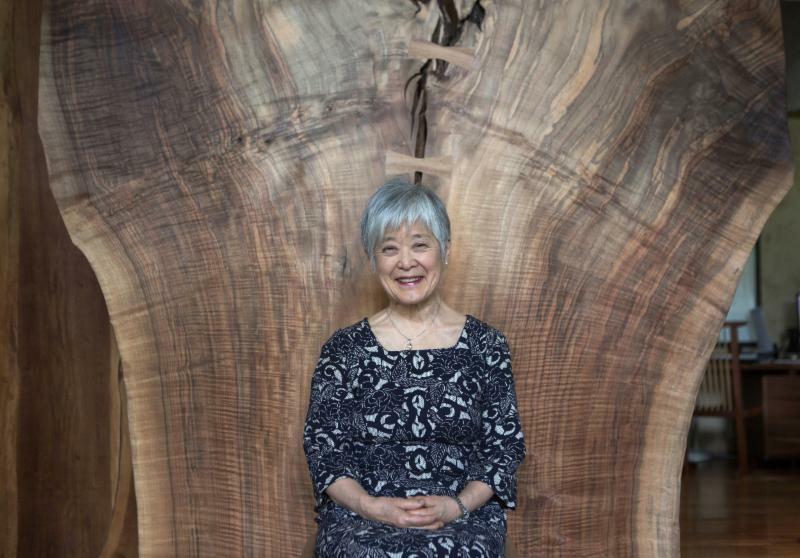 Heemin Moon, in collaboration with Dorothy McNee, has created the site-specific installation “Green Palace,” on display in the former bank vault at BSB Gallery at 143 East State Street in Trenton through April 13. 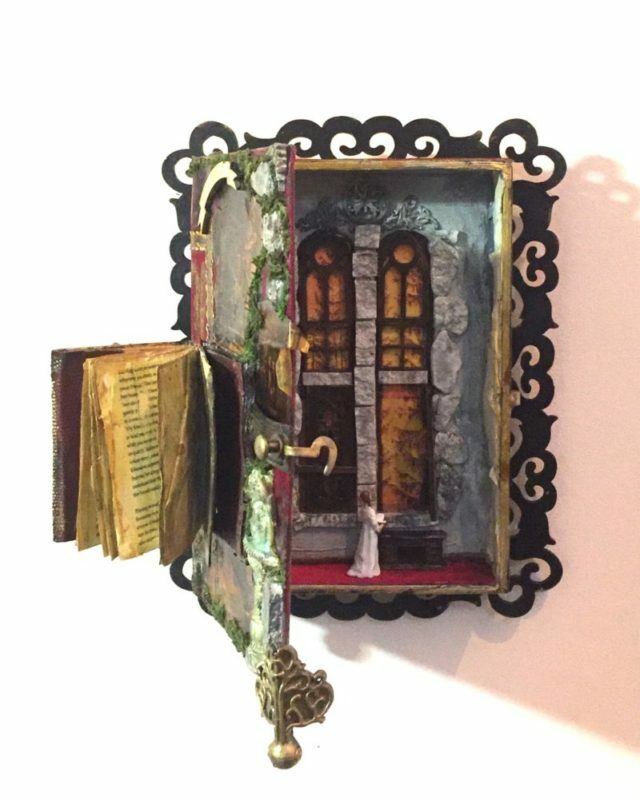 “ADELINE AT THE WINDOW”: This work by Meta Dunkly Arnold was named Best in Show at the West Windsor Art Council’s “Fiction: The Art Show,” on view through May 17 at the West Windsor Arts Center. An opening reception is Sunday, March 31 from 4 to 6 p.m.
Running now through May 17, the West Windsor Arts Council will showcase the work of many of its member artists in the exhibition “Fiction: The Art Show.” The theme was chosen in conjunction with the spring theatrical performance of Fiction by Steven Dietz and produced by the Pegasus Theatre Company, to be staged at the West Windsor Arts Center. 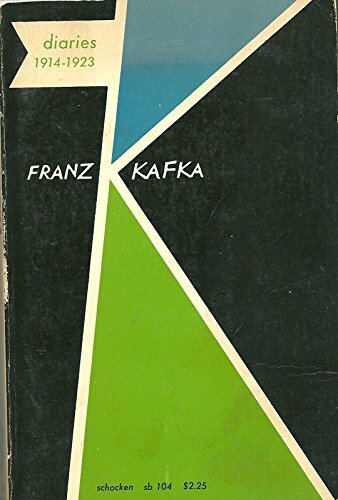 The play blurs the boundaries between fact and fiction, life and the written word, and so members were likewise invited to submit artwork based on the concept of real vs. imaginary, the merging of visual arts and literary arts, and the image with the written word. On November 26, 2008, radical Islamists from Pakistan launched a series of coordinated attacks around the city of Mumbai, India, which would claim 174 lives and leave hundreds more wounded. 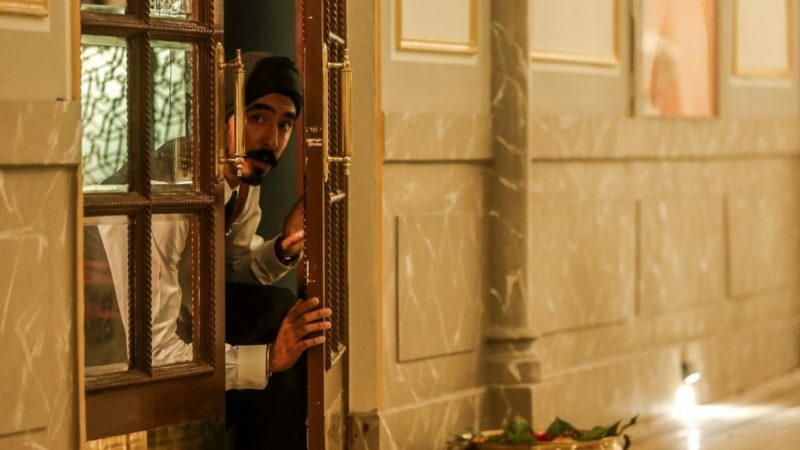 Within hours of the raid, the authorities were able to secure all of the sites except for the legendary Taj Mahal Palace Hotel. Courtney Banghart wasn’t surprised that her Princeton University women’s basketball team fought to the finish in the NCAA tournament opener. The Tigers have been fighters from the very beginning of a season that started with myriad challenges, and they were battling to the end of an 82-77 loss to Kentucky in the first-round of the NCAA tournament in Raleigh, N.C. last Saturday. 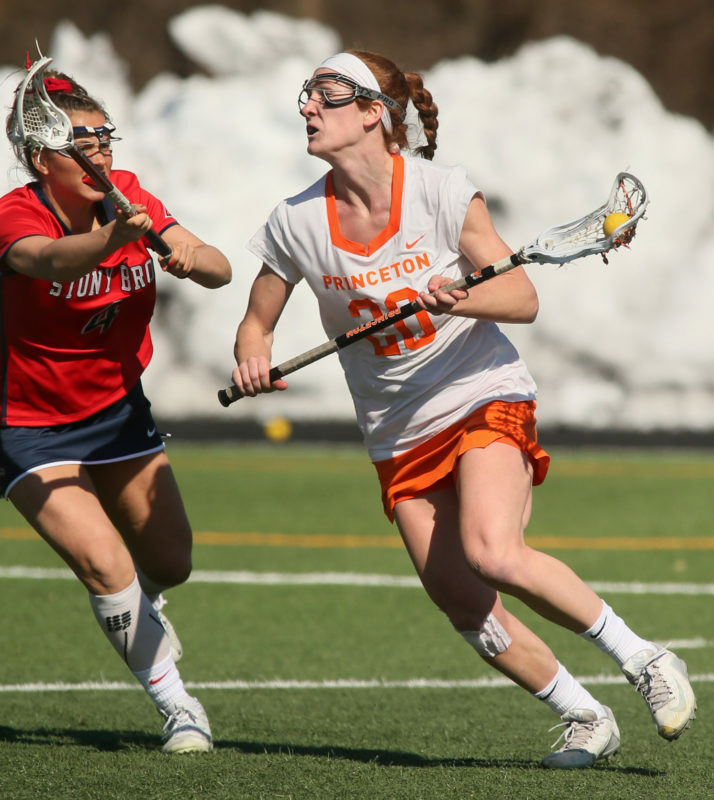 Elizabeth George came into last Saturday needing two goals to hit the contrary mark in her career with the Princeton University women’s lacrosse team. 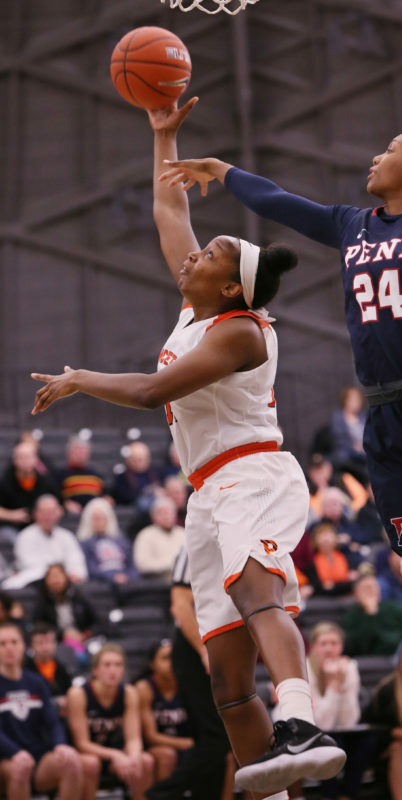 As Princeton hosted Brown, George scored 7:36 into the contest to hit 99 and then 1:40 later notched her 100th as the Tigers jumped out to an 8-2 lead. “We started out hot which was good, we saw a lot of looks there,” said George. Coming off a 19-10 loss to Penn and hosting defending national champion Yale last Saturday, the Princeton University men’s lacrosse team looked like it might be getting routed again as it fell behind the Bulldogs 3-1 in the second quarter. But showing pluck, Princeton reeled off four unanswered goals to pull ahead 5-3 at halftime. Alec Bobchin didn’t achieve the ultimate goal of winning a state championship in his senior season for the Princeton High wrestling team. But what he did accomplish this winter marks him as one of the greatest, if not greatest, wrestlers to ever hit the mat for PHS. Competing at 138 pounds, Bobchin won his fourth straight Mercer County Tournament title, won his second straight Region title, getting named as the Most Outstanding Wrester at the competition, and then culminated his season by heading to Atlantic City and taking fourth the NJSIAA Championships. Meg Reilly caught the coaching bug as a teenager. 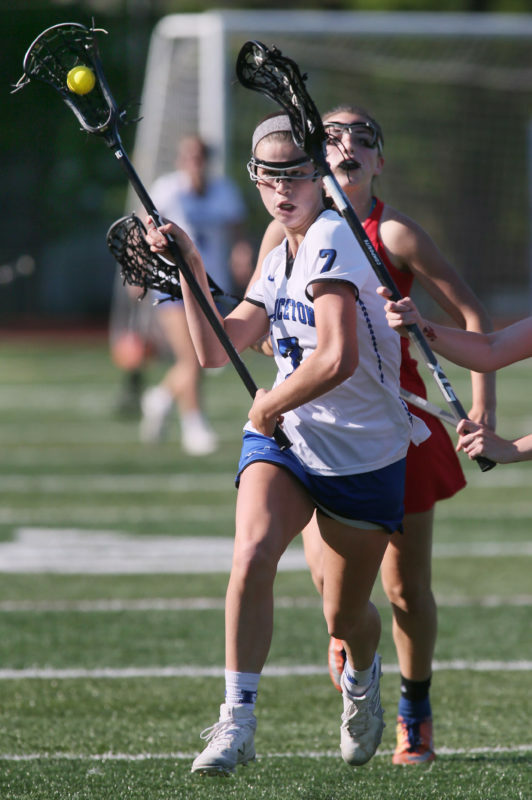 The 2010 Princeton High alumna started working with grade schoolers in the PGLax program in high school and then coached with Tri-State club in the summers while attending Muhlenberg College. 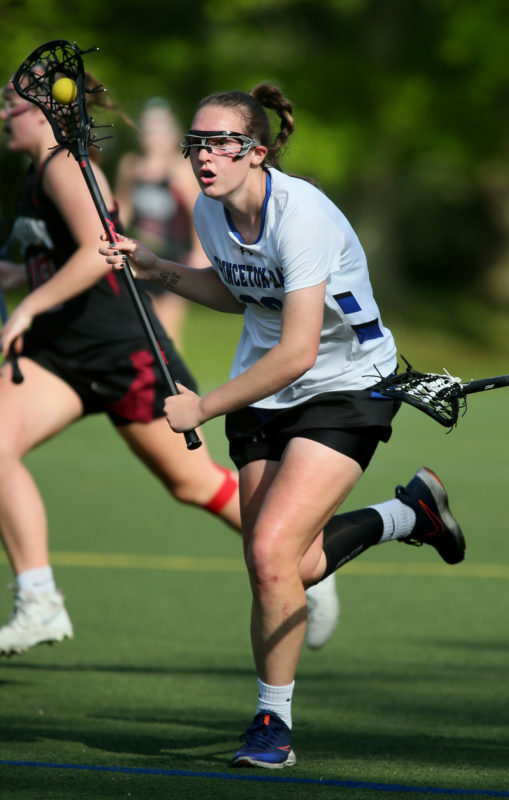 Saying goodbye to a core of seniors that helped the Princeton Day School girls’ lacrosse team win three state Prep B titles in the last four years, the program is going to have a new look this spring. While PDS head coach Jill Thomas acknowledges that team is undergoing a transition, she is seeing a lot of positives so far from a group that features a mix of veteran leaders and promising freshmen.